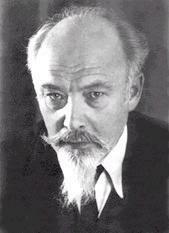 School of Wisdom founder, Count Hermann Keyserling, was one of the first Western philosophers to conceive and promote a universal planetary culture, beyond nationalism, but preserving cultural diversity. He promoted a new world order based on recognition of the equal value of western and non-western cultures and philosophies. Unlike other spiritual leaders of the day, Keyserling did not set himself up as a guru, or establish any kind of personality cult. Instead, he encouraged the equal participation of many others in the School of Wisdom and the polyphony of multicultural, beliefs. It was a kind of spiritual democracy where the unifying force was the inner force cultivated by a variety of practices including prayer, meditation and psychological analysis. Keyserling believed that the old policy of militarism was dead. Military states were wrong and so was War. Count Keyserling instead argued that the world’s only hope lay in the adoption of international basic rights and principles. In connection with his political writings, he promoted a type of aristocratic rule inspired by Plato’s Republic. Count Keysering was the first to coin the term Führerprinzip, for leadership principle. He thought that certain “gifted individuals” were “born to rule” on the basis of Social Darwinism. It was part of his attempt to embody the classic ideas of Plato’s republic. Under Hermann’s implementation the Gold Leaders were a new type of aristocrat drawn mainly from the successful business class. Political scientists would later classify him as another elitist, not appreciating the philosophic basis. His political writing were always a minor part of his overall voluminous overall corpus of writings, which were primarily devoted to spiritual topics. Then in the late 1920s the National Socialist party started to gain in popularity. The Nazis then stole and perverted Herman Keyserling’s idea of Fuhrer to mean an exalted dictator above the law. Keyserling reacted by speaking out even more vehemently in opposition to Hitler and the Nazis. Although conservative by nature he vehemently rejected all racism and spoke of the advantages of blended races. The Nazis responded with what Keyserling called a campaign of vilification against him and the School of Wisdom. The Count kept on writing and speaking out. When Hitler came to power the Nazi government revoked Herman’s citizenship because he was an immigrant from Estonia. The Nazis also revoked the citizenship of his two sons, even though they were born in Darmstadt and even though they were the great grandsons of Bismarck. The Count kept writing and speaking out. Hitler then closed the School entirely and exiled the Keyerlings to virtual house arrest in northern Germany. The two Keyserling sons were drafted into the Army. Herman and Maria were isolated and impoverished. Herman’s health deteriorated in these poor living conditions. The School of Wisdom was over. It’s symbol, the open angle standing for inclusivity, was defeated by the Swastica. The School of Wisdom remembers those days well. We remain opposed to dictators and to the whole notion of strong man leadership. We promote the rule of law, not men. Although this is not a vendetta for us, it is personal. We will not be shut down by Nazis again! We will resist by all means necessary.